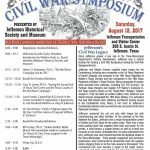 The 6th annual Civil war symposium comes to Jefferson this weekend August 12 !!! This years keynote subject is “RED RIVER CAMPAIGN NARRATIVES OF DESTRUCTION, HEROISM & BLOOD” by Dr. Henry O Robertson. 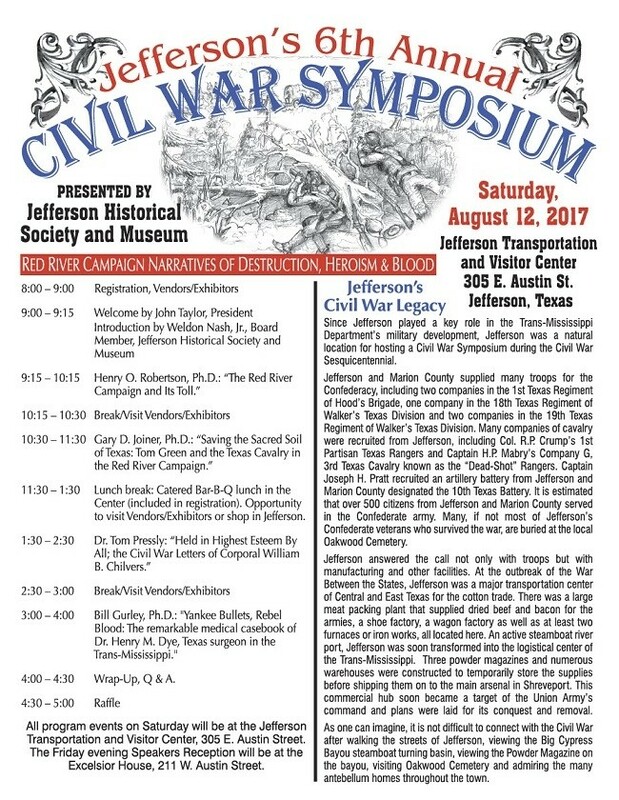 Jefferson Texas is the perfect place to attend this symposium (see info below) since the subject matter took place in the area. 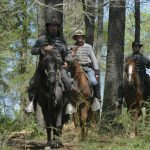 To experience what it was like back then take the “Turning Basin Boat Tour” up and down the Big Cypress Bayou located in downtown Jefferson and it does not take much imagination to picture yourself on that fateful campaign as they made their way through the area. 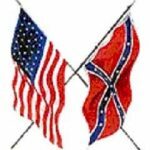 The Jefferson Museum on Austin Street and the Mason Dixon Line Military Museum on Lafayette street in downtown also are great places to help you get a feel of what it was like during that tumultuous time. 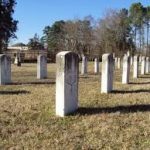 Don’t forget to tour the Historic Oakwood Cemetery and view the section of modest white gravestones that mark the graves of the Union soldiers that were stationed at the Garrison in Jefferson after the war. 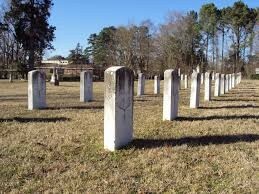 You walk among those age marked headstones and see the names of the enlisted and officers that met their demise in this southern port city, where they were originally sent to burn Jefferson down to the ground but ended up occupying the city instead… it’s hard not feel the animosity they must have dealt with. There is a saying ” Half of these soldiers died from Malaria, the other half died from being stationed in a southern town that did not want them”. There are many other historic figures buried in Oakwood as well. 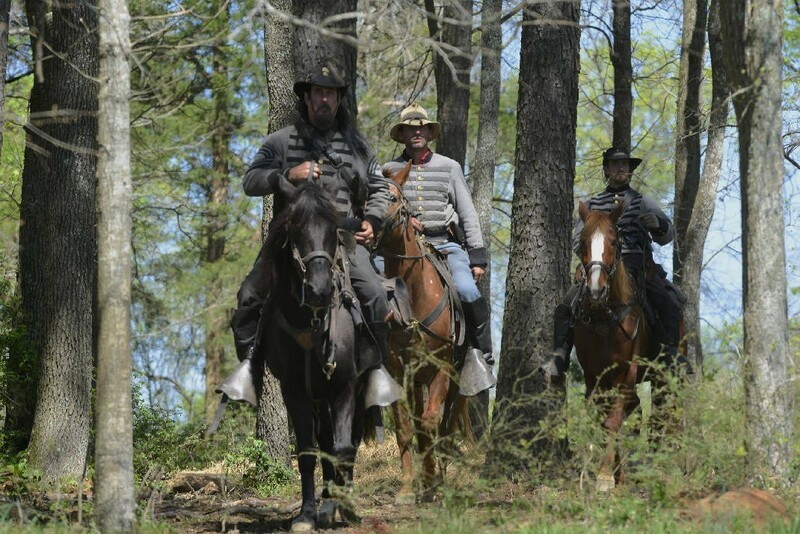 After a day of Civil War history, enjoy the cuisine from one of the several Jefferson restaurants with choices from fine dining to comfort food, and be thankful you did not have to eat what those soldiers did back then. After dinner, you head back to enjoy complimentary Smores and/or Wine at the Firepit if you happen to be staying at The Carriage House Bed and Breakfast. The next morning you will wake up to the smell of Fresh ground coffee and Jessi’s Signature Gourmet Breakfast. 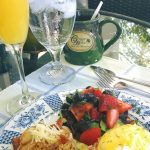 Have a seat inside or on the wrap around porch and let us serve you up a two-course breakfast (always dessert first) before you head back to to the noisy, modern world. On the way out of town as you drive out FM 2208 if you have the windows down. Then listen to the sounds and smell the scents of the forest…and maybe if you try real hard, you might be able to hear the hoofbeats of General John G.Walker’s troops and the Texas Infantry Division as they made their way through the moss covered cypress trees and tall pines that all but blocked out the sunlight, and made traveling feel like permanent twilight. You can imagine their young faces cast in steely resolve as they made they way to Mansfield, Louisiana to stop the Union troops from burning down the port cities Shreveport and Jefferson. 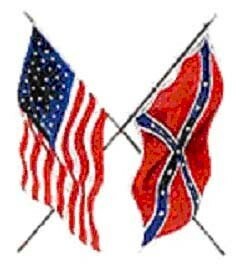 At this time of this post, we still have a couple of rooms left so call us direct for your reservation 903-665-9511.